NOTE: These links may lead to a website which may not be accessible for those who use screen readers. Independent Living Canada (IL Canada) is a national umbrella organization which consists of local autonomous Independent Living Resource Centres (ILRCs). Each ILRC is community-based and controlled by and for persons with disabilities. IL Canada is controlled by the individual ILRCs and its responsibilities mainly consist of providing support, training, networking with government and non-government organizations, and information dissemination. Provide services in personal care, housekeeping, equipment maintenance and more. A charitable, nonprofit organization that offers community-based, client-directed support services, client and family-centered care, independent living education programs, and accessible, affordable housing for persons with physical support needs living in the Toronto area. Allows people with disabilities to learn and practice independent living skills. Clients are selected for either a six or maximum 18-month ‘transitional’ program. Clients are provided with a one-bedroom apartment and access to on-site attendant services (24-hour) and health and life skills education. Organization that provides 24 hour support services to persons with physical disabilities who require assistance in the routine activities of daily living. It offers supportive housing, attendant services and communication assistance in a congregate living environment. Services include attendant outreach, supportive housing, supports for daily living and caregiver recharge. Provides a wide range of programs and services to maximize the independence and community participation of people with physical disabilities. Works with health care organizations to improve quality, safety, Staff and Consumer experience and efficiency. Offers residential, day and respite services. The organization also offers application forms for community programs such as Assisted Living and Shared Assisted Living. Assists people with spinal cord injuries and other physical disabilities to achieve independence, self-reliance and full community participation. Services include: Peer Support, Regional Services, Membership, Advocacy, Knowledge Enterprise, Public Policy, The SCI Solutions Alliance, Employment Services (in the GTA), and Attendant Services (in the GTA). Provides 24-hour personal support services for individuals with physical disabilities. The Canadian Cultural Society of the Deaf is an organization aims to serve the needs of deaf culture throughout the country. Particular attention is given to Deaf literature, heritage resources, performing arts, visual arts and sign language. The Web site is bilingual, and has subpages devoted to Deaf culture in each province and territory. Deaf Planet, created in conjunction with a new television series, uses American Sign Language as a teaching tool for Deaf students, aged 8 to 12. Young visitors to the site can watch the TV episodes of Deaf Planet, but can also discover more about the sciences, all the while using ASL in a fun, vibrant environment. DEAFWEEKLY is a new weekly e-zine to help people keep up with news in the Deaf community. It reports on news stories from around the world, including education, science, technology, arts and sports stories for anyone interested in Deaf issues. The Web site offers visitors to read the current issue or to subscribe free of charge. The Sexuality and Disability Webliography is a section of the Wellness and Disability Initiative Web site of the BC Coalition of People with Disabilities collects material on healthy sexuality and disability. Full text, personal Web sites and book abstracts are included. Various disabilities are covered, from arthritis to spinal cord injury. Koolway Sports makes coats for people with mobility disabilities who use wheelchairs. The company’s main goal at Koolway Sports is to make individuals feel as comfortable as possible, by giving them a sense of warmth and self-esteem. Prices range from $179.99-239.99 CDN. Online orders are accepted. Allow 4-6 weeks for delivery. The Job Opportunity Information Network (JOIN), for Persons with Disabilities is an initiative of Service Providers who deliver ODSP Employment Supports in the Toronto Region. This network assists Persons with Disabilities to find work and assist employers to recruit qualified candidates to meet their hiring needs. Assist people with disabilities and people receiving social assistance prepare for, find and maintain work. The WESP is an employment program designed to provide job seekers with disabilities in the Greater Toronto Area (GTA) the opportunity to enhance their employability in preparation for a variety of labour market sectors. Canada-wide network of organizations and individuals. Their mission is to promote and support meaningful and equitable employment of people with disabilities. An employment portal for Canadians with disabilities. It offers educational and employment resources, job search tools and career guidance. 211 Toronto is the website for the 211 Toronto information service, featuring the online edition of the Blue Book Directory. 211, operated by Community Information Toronto, is a community helpline that can be accessed 24 hours a day, seven days a week. Community Health Centre offering programs and services that promote the health and well-being of youth, seniors and people with physical disabilities. All of their programs and services are free of charge and include primary health care, disease prevention, health promotion and community development. Charity providing community-based support, knowledge and a national voice to Canadians who are blind or partially sighted. It works with people of all ages and provides personalized rehabilitation support. Develops and implements programs aimed at responding to the growing prevention, intervention and educational needs of those working toward ending violence against women and their children. Provides training and resources to decrease the incidence of physical, psychological, emotional and sexual violence against women and the effect that woman abuse has on children. Provides support and resources to people affected by muscular dystrophy and related muscle diseases. Offers a community for people affected by spina bifida and/or hydrocephalus through support, education and awareness, advocacy and research. Their programs and services are free of charge. Their services include primary medical care for all women from the age of 16, mental health support programs with individual and group counseling, self-advocacy programs, health promotion and education programs, Pre and Post Natal Care programs, HIV-AIDS Prevention, Support and Care, healthy living activities, support groups, supportive self-care activities and a resource information center. Provide assistance to seniors and disabled adults wishing to live independently at home. Their services include Home Care, the Adult Day Program, Meal Delivery, Case Management and Transportation in the Don Mills area. The Canadian Abilities Foundation (CAF) Web site, home of EnableLink, the Directory of Disability Organizations in Canada, the National Employment Services Directory, the CAF Forum, over forty issues of archived articles from Abilities Magazine – and the list goes on! If it has to do with disability in Canada – chances are you’ll find it here. Canada Pension Plan Disability pays a monthly benefit to people with disabilities who have contributed to the Plan and who meet the eligibility requirements under Canada Pension Plan legislation. The Plan also pays monthly benefits for their dependent children. The Income Security Advocacy Centre works with and on behalf of low income communities in Ontario to address issues of income security and poverty. Many of its clients are consumers with disabilities living in Ontario. The centre’s Web site offers information on its publications, including its analysis of ODSP (see below). The Self-Help Resource Centre of Ontario is a comprehensive array of resources and tools for anyone looking for and/or wanting to start up a self-help group. Accessibility Ontario provides up to date information on the activities of the new Accessibility Advisory Council of Ontario and the Accessibility Directorate of Ontario. It features hundreds of links and valuable resources for people with disabilities, business, and organizations with obligations under the Ontarians with Disabilities Act, 2001. The ADP Web site is managed by the Ont. Ministry of Health and Long-Term Care. It includes frequently asked questions and an up-to-date list of items that can receive financial coverage under ADP for consumers who have income supports from ODSP (Ontario Disability Support Program). Items covered by ADP include communication devices, hearing aids, visual aids, prosthetic devices, tracheotomy supplies and wheelchairs. Handspeak explores sign languages and other forms of “langculture” for the deaf. It also focuses on other visual languages, communication, cultures and arts. On the site there are sign samples, articles, resources, directories of books, videos, interpreters, artists and crafts. 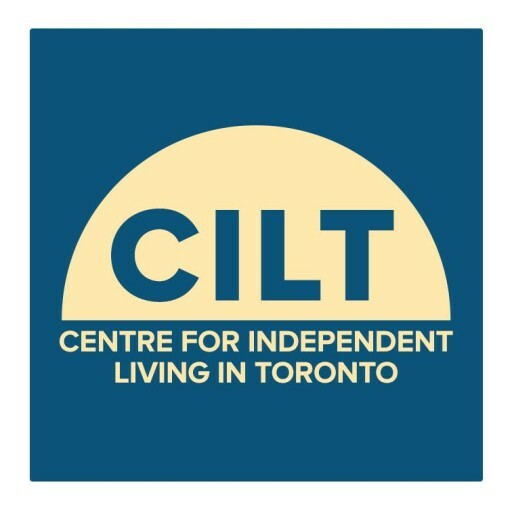 Housing Connections manages the centralized waiting list for subsidized housing in the City of Toronto. It assesses eligibility for subsidized housing, supports households on the waiting list by making referrals to other services and supports to help address immediate housing needs. ARCH is a community-based legal clinic and resource centre for the Province of Ontario, dedicated to defending and advancing the equality and rights of persons with disabilities. Persons with disabilities must have control over their own lives. Persons with disabilities are not a homogeneous group. Rather, this community is diverse, and does not have a uniform set of priorities. Providing information to people who face barriers to accessing the justice system (including income, disability, literacy, and language). The Inter-University Disability Issues Association (IDIA) is an association of disability service providers from Universities throughout Ontario. The IDIA encourages Ontario universities to share ideas and strategies to overcome issues and problems, allowing students with disabilities a chance to succeed in post-secondary education. Educate individuals and organizations across Ontario about human rights obligations and policies. Aphasia Institute is an education and learning centre that provides innovative solutions for people living with aphasia and their caregivers. An association of disability service providers from universities throughout Ontario. Work toward the inclusion, job retention, and advancement of current and future professionals with disabilities. The Canadian Centre on Disability Studies (CCDS) is a consumer-directed, university affiliated centre dedicated to research, education and information dissemination on disability issues. The CCDS is guided by the philosophies of independent living and community living, emphasizing human rights, self-determination, interdependence, equality, a cross-disability focus, and full and valued participation in the community. Provide inclusive services that advance active living, independence and full inclusion for persons with disabilities and health barriers. Programs offer access to several integrated and adapted wellness, recreational and social programs as well as information and referral, counseling and advocacy. They also work in partnership with a wide range of community stakeholders to offer capacity-building and community development initiatives that advance equity and accessibility. Offer programs targeted to people with disabilities; these include: Swim and Social, Drama Interact and Drama Interact Summer Camp. Community Centre dedicated to people of all abilities. It offers a variety of activities including: fitness & wellness, swimming, sports, specialty programs, camps, certifications, courses and events. AVS provides a variety of wheelchair transportation services to people based in the Greater Toronto Area. Services for seniors 60+ and adults with physical disabilities. Call 1 week ahead. Can accommodate folding wheelchairs. Special Needs Transportation. Provides quality service, safety, reliability, comfort and punctuality through transportation services that promote accessibility to those using wheelchairs, scooters, have mobility impairments, cognitive disabilities as well as ambulatory clients. Wheelchair Accessible Transit provides door-to-door wheelchair transportation to consumers in Toronto and the surrounding regions. The vehicles are converted mini-vans and extended size passenger vans. The Web site features photos of its vans and service rates. Wheel-Trans offers door-to-door accessible transit service for people with disabilities using accessible buses, contracted accessible taxi minivans and sedan taxis. Service is available anywhere within the City of Toronto for a regular TTC fare. Wheel-Trans is a public transportation service and passengers will be sharing their trip with other customers.